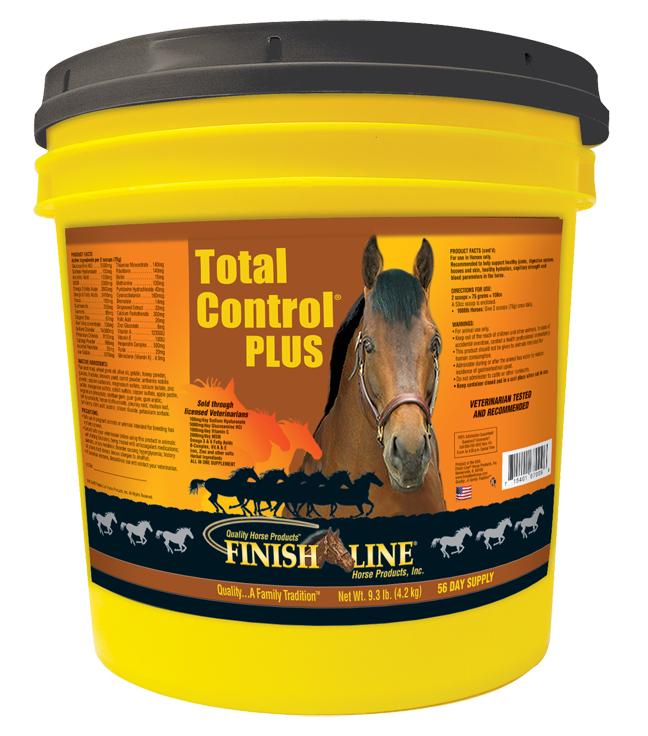 Finish Line All-in-one Total Control® PLUS is a combination of Finish Line®’s 5 best selling products plus additional ingredients from XBL® Ultra. XBL® Ultra promotes healthy capillary strength, including in the lungs. 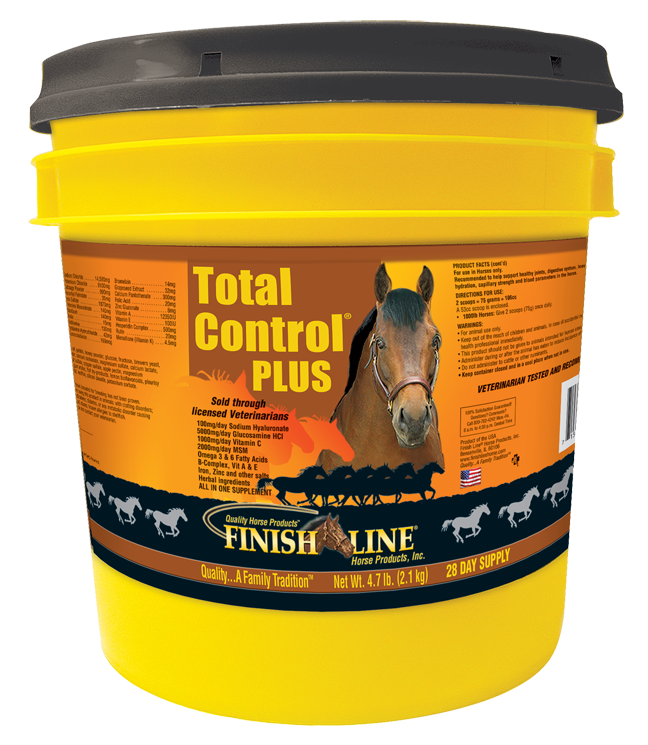 Additional products included are: U-7™ Gastric Aid, Iron Power®, Apple-A-Day™, Fluid Action® HA, Feet First®, and XBL®. 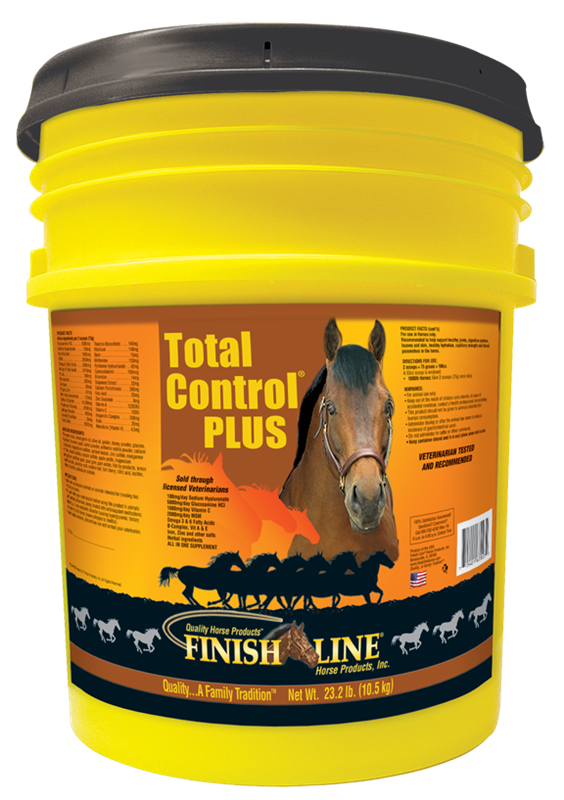 All of these products combine into one good-tasting daily supplement that helps support 7 systems in your horse: Gastric, Blood Counts, Hydration, Joints, Feet, Coat, and added Capillary Strength.